We use Non-Toxic and extremely safe products that are very effective and that follow the IICRC standards and methods. Our team includes certified Odour control Technicians. 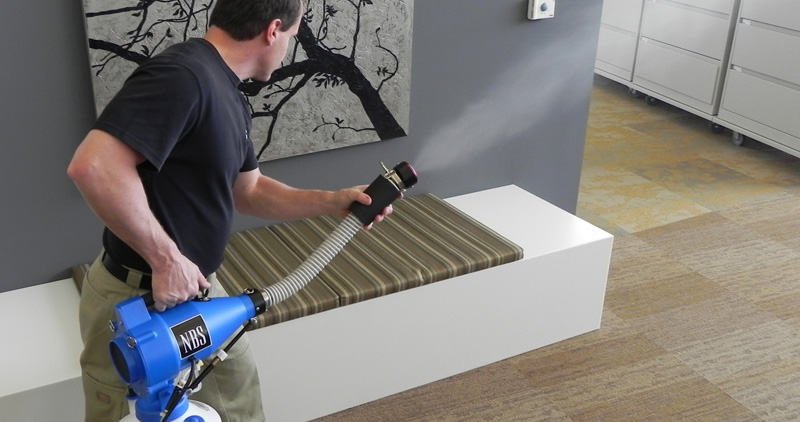 We use Ozone, Chlorine Dioxide Gas, Hydroxyl Generators, Vaportek, ULV Fogging, carpet cleaning, upholstery cleaning and HVAC and Duct Cleaning, along with a variety of other extremely effective tools. We guarantee and stand behind the work that we do. Do you need Odour Removal services? If you are a buyer or seller of a home, Unwanted Odours can be a huge obstacle in the sale process. Many times if a home is being shown, the smell of tobacco or pet urine can often be the deciding factor on whether or not the home is sold. We can completely neutralize the odours that are ruining the value of your home and turning away buyers. Another scenario can be a landlord who has had tenants who had been smoking or allowing pets to urinate in the home. Essentially rendering the unit unable to rent and losing valuable rental income. Our team of expert odor control technicians that are certified by the IICRC are able to remediate the issue and make the property ready to rent again. In any of these cases and certainly in the vast majority of situations, we can completely remove the odour that is causing you grief and costing your money. We Offer same day service and operate 24/7 for emergencies when they arrive. Our number is 613-276-8667 or you can click on the Contact Button Below to Leave us a Message.